There was the Future Crypto Workshop 2018 in the Ramada Seoul Hotel. 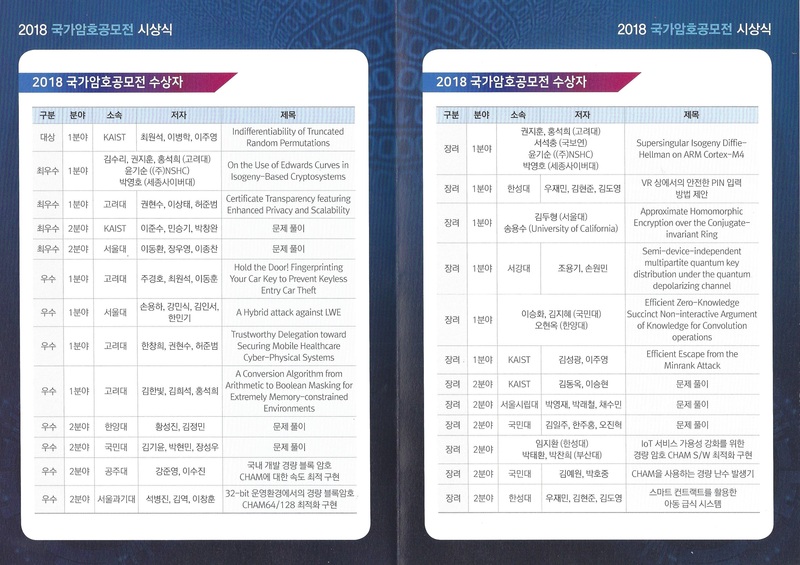 - There was the awards ceremony of the 2018 Korean Crypto Competition (2018 국가암호공모전). [2019.02.20.] [seminar] Quantum computation and quantum simulation with trapped ions.